1) Content, Content, Content--The Conference was designed to communicate real content and value to Oracle's clients, by leveraging any means: from the mobilization of all the top executives - starting with Larry Ellison, Mark Hurd, and Safra Cats - to the leaders of all the Hardware and Software Labs, who made themselves available not only for keynotes speeches, but also for insightful 1:1 meetings. 2) Innovation--To Oracle, R&D matters so much that the Company has decided to keep investing a very significant % of its turnover, in addition to large investments in "inorganic" R&D for M&A's. To me, this is the best sign of vitality for a Company, and a strong predictor of future success. 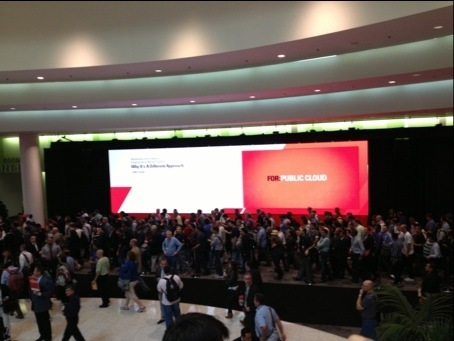 3) Cloud--This conference has marked an important milestone for the whole IT industry. 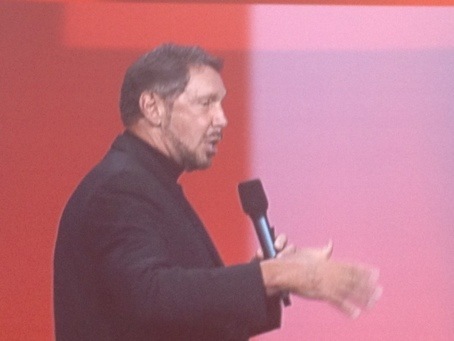 The Cloud has been fully embraced by Oracle, by proposing a non-disruptive & viable Cloud strategy - both Private & Public - which any customer of any size may now be able to adopt. Hats off to the Engineering team for driving this. 4) Breakthrough Technology--The performance of the new Exadata systems is clearly indicating that the Oracle's Engineered Systems are now ready to tackle almost any kind of complex and heavy workload. This is all about simplifying IT, and it's a great message for both Oracle's clients and partners: the dilemma "cost reduction vs innovation" may finally be addressed, as long as one is willing to accept the Engineered Systems paradigm. 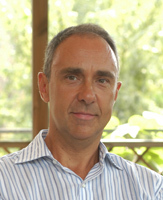 5) The Venues--I have attended many important conferences throughout my professional life, and this is definitely the largest and one of the best organized. 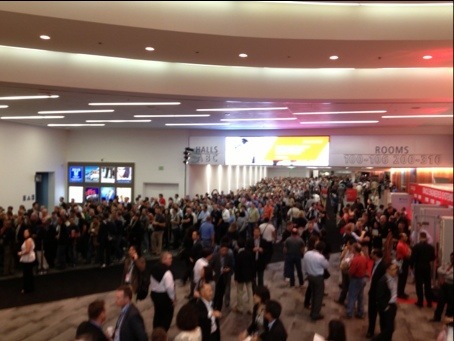 The large number of participants for this 30th edition of OOW - approx 50,000 clients, partners, and journalists, on top of 1M online attendees - and the huge number of sessions - 100 keynotes/general sessions/breakout sessions - are not impacting the quality of each single event, thanks to an extraordinary team of experienced people who have planned every single detail. 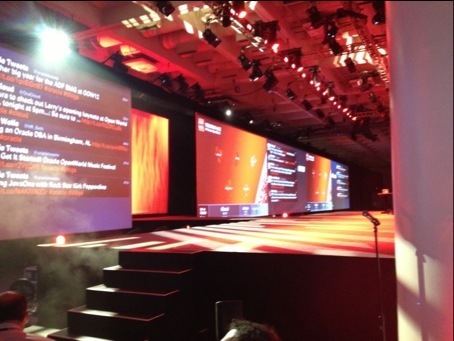 Btw, running in parallel with OOW, there were other large technical conferences, such as the ones for Java and for SQL. Sure, the space and the facilities in the US are unbeatable, and this is making the job of managing such a logistics challenge somehow easier. It is the 35th anniversary of Oracle, which has been able to stick to its strategy over the past turbulent decade in the IT world. This has payed off in terms of business success, coupled with a growing recognized leadership, which is attracting every year an ever larger number of attendees to OOW. I am definitely recommending to join the next edition.